Our newest addition - Plastic Ceiling Tiles. They come in 24"x24" size. Feather-light, easy to install, easy to clean, stain resistant, water resistant, dust free, and easy to cut. They can be cut with any house hold scissors. Can be installed in the ordinary suspended ceiling - just pop them in. The material that they are made out of is fire rated. The paint/finish of the tiles may change the fire rating and properties of the tiles. Elegant, regal, and absolutely stunning in their simple classic beauty, these ceiling tiles and drop ceiling panels add stature and grace to any room. 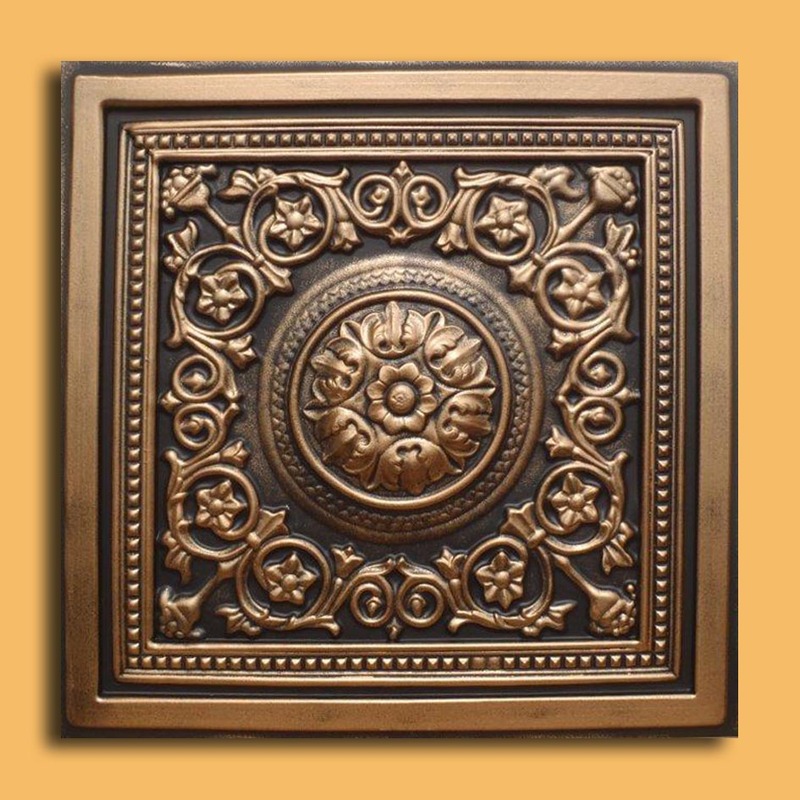 Combining the character and charm of traditional pressed metal with the convenience and safety of vinyl, these panels are in a class all by themselves. 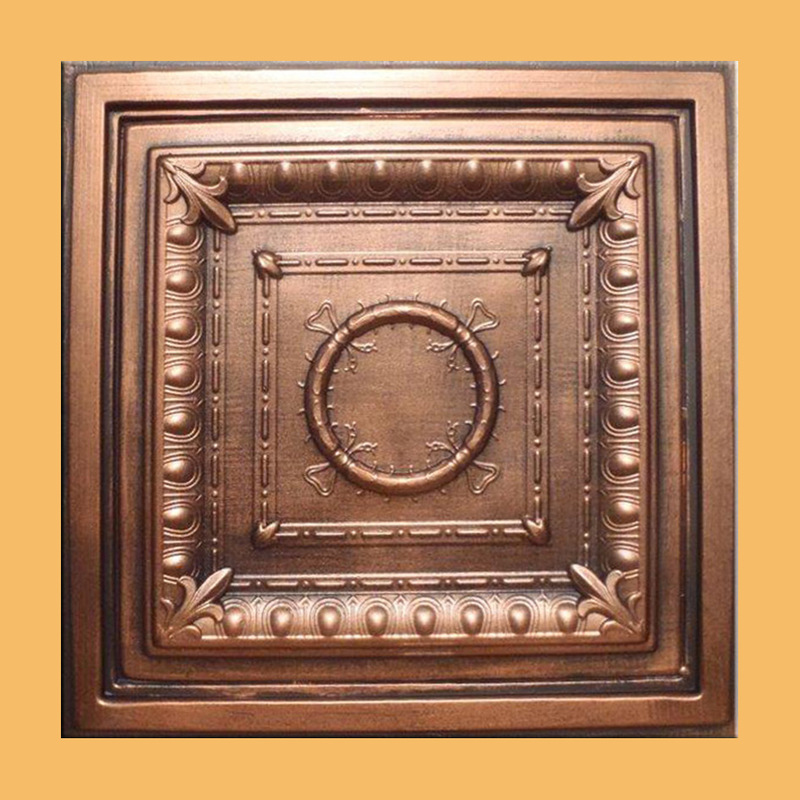 24"x24" Majesty Antique Copper Patina PVC 20mil Ceiling Tiles - Best SELLER! 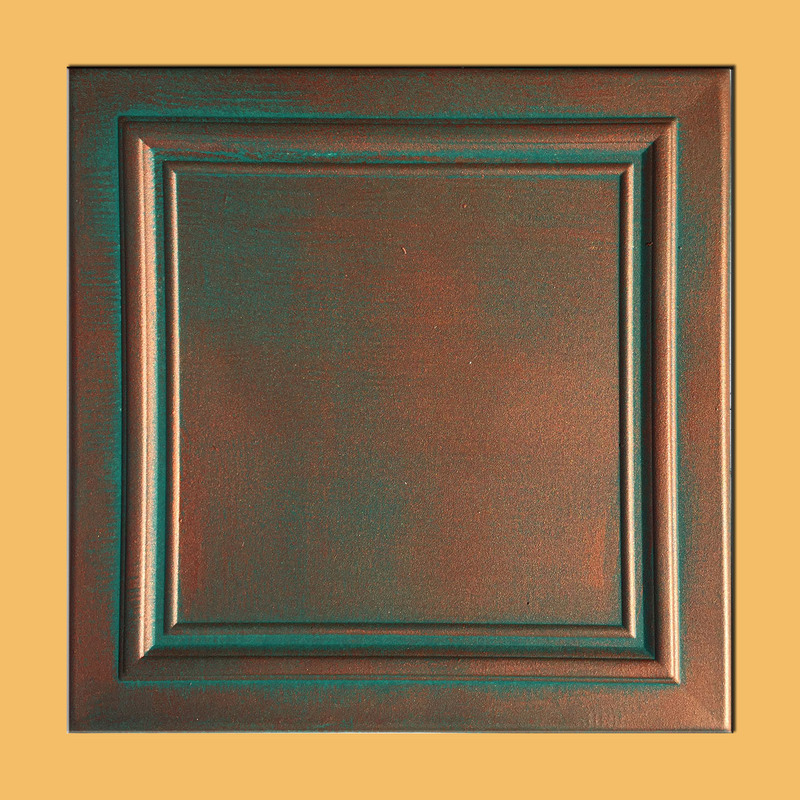 24"x24" Majesty Antique Bronze Black PVC 20mil Ceiling Tiles - Best SELLER!